What started as a drunk driver pursuit by the Colorado State Patrol (CSP) has ended up as a standoff on the northeast edge of Berthoud. According to the Larimer County Sheriff’s Office the CSP was attempting to stop a motor home that had been called in as a Report Every Drunk Driver Immediately (REDDI) report. 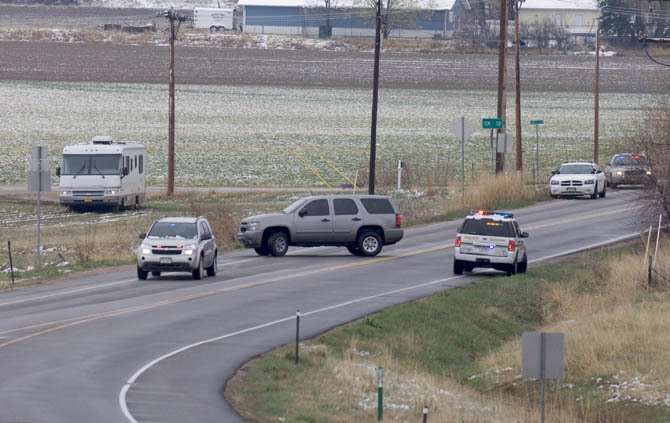 The pursuit began on I-25 and proceeded into Larimer County and north on Berthoud’s First Street where a spike strip was deployed. The motor home swerved to avoid the strip and ended up in a field at the northeast corner of First Street and Larimer County Road 12. the vehicle became stuck there with one person inside the motor home. 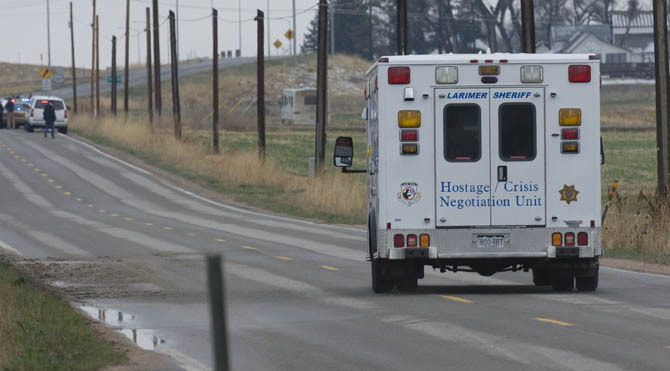 The Larimer County Hostage/Crisis Negotiation Unit and the SWAT team have been deployed to the scene. Berthoud Police are assisting in traffic control and road blocks. First street was blocked at Larimer County Road 10E and at the Berthoud off-ramp from southbound U.S. Highway 287. County Road 12 was also blocked east of the intersection. 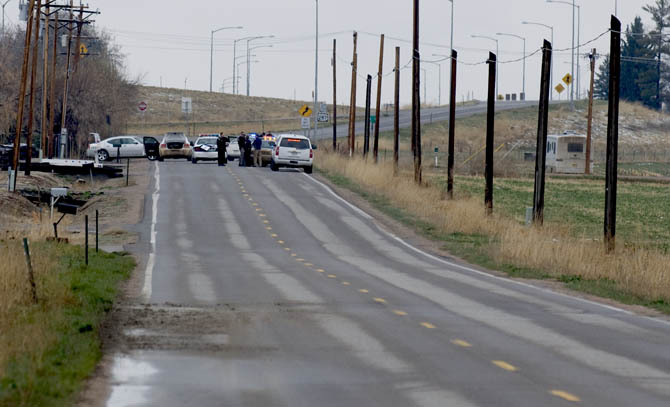 Media personnel taking photos from the curve of Highway 287 were instructed to leave that location because it was considered to be in the range of possible gunfire. After being allowed to venture as far north as the Pioneer Sand and Gravel site on First Street, the media were again instructed to move back to County Road 10. The Larimer County Sheriff’s Office SWAT unit tried to negotiate with the driver. When that did not work, a flash bomb was thrown into the motor home and the driver was taken into custody. There are unconfirmed reports that some of the law enforcement communications indicated that the motor home was suspected to be a mobile meth lab. The number of units on the scene continued to grow through the morning. Patrol cars were entering and leaving at high rates of speed, indicating some urgency. Shortly past noon the Hostage Negotiation Unit arrived and the SWAT unit followed soon after. Site contents copyright © 2019 Recorder Online	except as noted. All rights reserved. | 96 queries in 2.339 seconds.